Wonderful 3 bedroom colonial on a private lot with so much space! Kitchen with breakfast bar, stainless steel appliances, awesome pantry and large dining area. Spacious living room with plenty of light connects to the open dining space which features a glass slider to an expansive back deck that is the perfect place to grill or entertain. Also on this level is a convenient home office, laundry hookups, half bath, coat closet and mud area. Upstairs is a bright master with walk-in closet and side nook. Two more bedrooms with great closet space and a large full bath round out this floor. Full basement with daylight window waiting for finishing or use as a fantastic storage space! Two car attached garage with more storage above. Large private backyard features a great dirt bike track, stone wall, mature trees, and wooded setting. No neighbors overlooking your backyard! 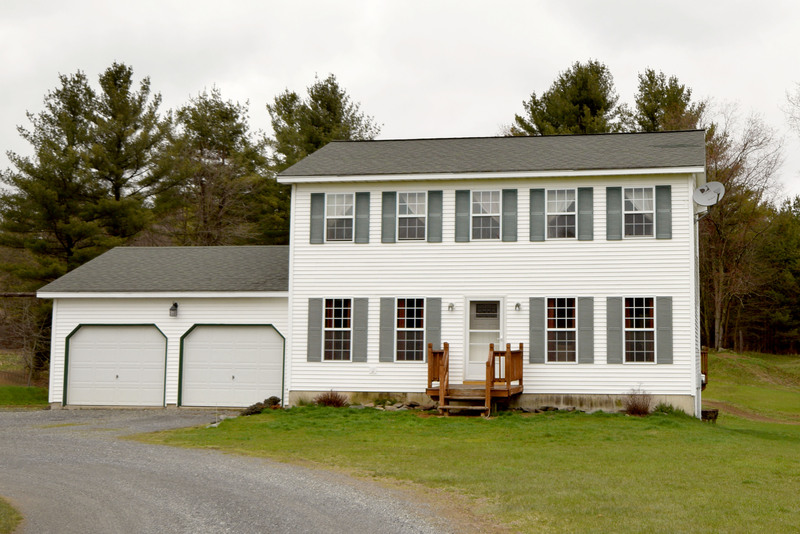 Just 6 minutes from the center of town, 22 minutes to Saint Albans, 20 min to Smugglers Notch, and easy access to I-89!